Home Google Nexus 4 Wireless charging Should you buy the Nexus 4 Wireless charger? Should you buy the Nexus 4 Wireless charger? 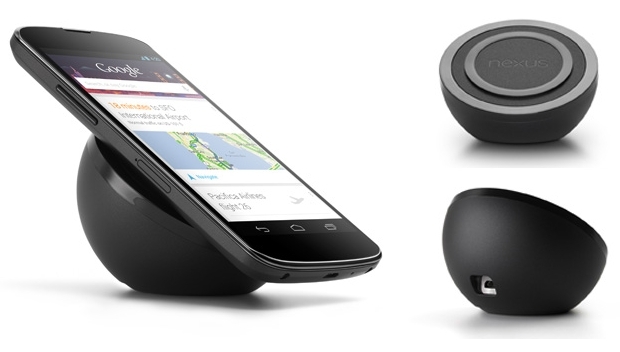 Google has started selling the wireless charger for its flagship Nexus 4 for a $59.99 + taxes. Now the main question is what is the value addition of wireless charging compared to conventional charging. Apart from the person not required to connect the Micro USB cable there is literally no value addition. Wireless charging or Inductive charging works on principle transfer of energy via electromagnetic filed. Normal charging takes 2 hours to fully charge your Nexus 4. Wireless charging takes 4 hours. Wireless charging generates substantial heat. People may not be comfortable with some much heat on their device. If you connect a USB chord to your Nexus 4 you can freely use your Nexus 4 without any issues. In case of wireless charging the phone has to be constantly connected to the charging doc and using the phone while its getting charged is very difficult. The wireless charges costs 20% of the cost of the phone itself and its really expensive if we consider the affordability factor of the phone. A standard MicroUSB charger can be connected to any MicroUSB charger however wireless charging is not possible with public wireless chargers (which do not exist today). Wireless charging technology is at a very initial stage and it may not be the right time to adapt to it.